ELIXIR-NL obtained a position on the NWO ‘National Roadmap for Large-Scale Scientific Infrastructure’ in 2016. Our Roadmap ambition is to build a professional research data infrastructure, enabling scientists and innovators to contribute and re-use data, tools, and models, and to compute in a modular environment. An ‘app store-type’ protected environment will enable scientists to collaborate efficiently in order to answer complex research questions. In addition, we will establish a national network of data managers to support this infrastructure. The infrastructure will initially be geared to empower personalised medicine within the framework of the national Health-RI initiative. The infrastructure will also be extended to serve as a backbone for other life science domains. We envisage a broad and scalable facility that eventually will support all data analytics and stewardship in the Dutch life sciences. Evidently, the ELIXIR-NL infrastructure will be strongly connected with the European ELIXIR infrastructure. The ELIXIR-NL Roadmap plans are rooted in a strong network of dedicated Dutch professionals that have been collaborating for nearly two decades, for instance within the Netherlands Bioinformatics Centre (2003-2013), the Dutch Techcentre for Life Sciences (ongoing), CTMM-TraIT (2011-2015), Data4lifesciences (ongoing), the Personal Health Train project (ongoing), the MRI/Cognition cluster (ongoing), and BBMRI-NL (ongoing). 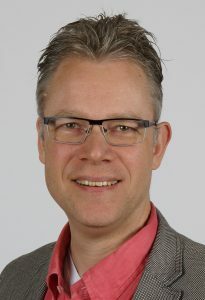 The Roadmap ambitions will be realised by the network of DTL partners, with particularly strong involvement of Radboudumc (Digital Research Environment), Maastricht University Medical Centre (EuroCAT), VU University Amsterdam (FAIR Data technology), Leiden University Medical Centre (FAIR Data technology), and SURF. Our Roadmap ambition is to build and support a professional research data infrastructure, enabling scientists and innovators to contribute and re-use data, tools, and models, and to compute in a modular environment. Modern life scientists use a variety of advanced technologies, such as genomics, proteomics, metabolomics, and imaging techniques. These technologies offer unprecedented opportunities to unravel the complexity of life and answer research questions of great societal relevance. However, they also bring challenges, in particular because they produce large and complex data sets that call for specialised ICT resources and data expertise. As a result of these developments, scientific excellence now requires collaborative, multidisciplinary approaches, i.e., open science. Structural collaboration between domain scientists and data scientists is an essential element of modern data-driven science. Unfortunately, our current science system insufficiently supports cross-domain and cross-technology approaches. This has resulted in fragmented, sub-optimal solutions, in particular for digital scientific infrastructures. We urgently need to improve this situation. Watch our video about Open Science. The Netherlands is considered a guiding country in open science, for instance because of its leading role in the design of the European Open Science Cloud and the FAIR Data principles (Findable, Accessible, Interoperable, and Reusable). Our country has a strong digital infrastructure and collaborative culture. This renders us eminently equipped to perform the daunting task of developing an efficient research data infrastructure. Our ambition will be realised by a strong network of dedicated Dutch professionals that have been collaborating for nearly two decades. We constitute a national consortium (ELIXIR-NL) with close international links. Our ambition is to build an infrastructure that resembles the ‘app store’ environments of Apple and Android, enabling scientists to contribute and re-use data, tools, and models, and to compute in a modular environment. Within this infrastructure, the core backbone for semantic and syntactic interoperability allows tools, compute platforms, and data to work together seamlessly in variable, customised combinations. (Interoperability enables humans and computers to unambiguously recognise whether items in different data sources refer to the same thing, see ‘About FAIR Data‘.) Academic and industrial groups will be contributors as well as users, collectively building a professional digital research infrastructure that is geared towards complex, yet reproducible and low-overhead scientific research. The infrastructure will facilitate optimal translation into societal applications. To build the ELIXIR-NL infrastructure, we will decompose and re-amalgamate the best modules of existing infrastructure projects into an ‘app store-type’ environment. The infrastructure will combine diverse and distributed data resources in a form that will allow analytics and modelling workflows to leverage the increased information gleaned from truly interlinked data, workflows, and models. In addition, we will establish a national network of data managers to support researchers when using the infrastructure. Once fully operational, the ELIXIR-NL infrastructure will be a community resource for FAIR data, tools, workflows, and models. It will support research and innovation in academic and industrial organisations, fully enabling cross-disciplinary collaboration. The infrastructure will be an essential constituent of a large number of other projects, consortia, and Roadmap clusters, across the life sciences and data science, for instance Health-RI. ELIXIR-NL plans to establish the ‘data backbone’ for Health-RI, the Dutch national infrastructure for personalised medicine & health research. To kick-start this, we have incorporated components of the BBMRI-NL Roadmap cluster (biobanking) and the MRI/cognition Roadmap cluster into our plans. These components will serve as key demonstrators for harmonisation of data approaches across the stakeholders of the ELIXIR-NL infrastructure. 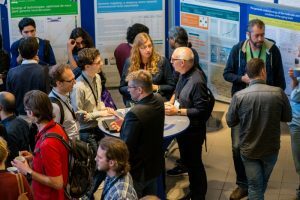 Although the ELIXIR-NL infrastructure will initially be geared to empower personalised medicine and health research, the infrastructure will also serve as a backbone for the other life science communities that are active in ELIXIR-NL. We envisage a broad and scalable facility that will grow to support all data analytics and stewardship in the Dutch life sciences. Evidently, the ELIXIR-NL infrastructure will be strongly connected with the European ELIXIR infrastructure. Sustainability of the infrastructure will be guaranteed first of all because a broad partnership of ‘users’ and ‘providers’ of data, tools, and compute resources will co-create the environment in a user-driven way. Secondly, productising tools when they reach a certain technology readiness level will be smooth, because industrial technology partners are fully engaged in the consortium, as users and providers. We will develop a pay-for-use model of selected services in the infrastructure, which will also sustain the core backbone on which the services run. A comprehensive business model for sustainability will be developed in the coming years. The ELIXIR-NL Roadmap plans assemble strong Dutch data scientists and life scientists around a common goal. Please do not hesitate to contact us if you want to get involved in ELIXIR-NL. Led the highly rated BioAssist bioinformatics as a service programme of the Netherlands Bioinformatics Center. Specialisation: Operational Management of teams of independent professionals. ELIXIR-NL has its roots in the Dutch bioinformatics and computational (systems) biology community. Hosted by DTL, it constitutes the Dutch node in the ESFRI landmark ELIXIR. ELIXIR-NL has prepared a nationwide infrastructure for data interoperability, reference data, bioinformatics tools, training, and IT. ELIXIR-NL groups are the key driver of the global FAIR data initiative, delivering key infrastructure for data stewardship, from tools for software engineers to training for FAIR data stewards. SURF has developed high capacity storage, network, and computational infrastructures for all Dutch science & education organisations. SURF also coordinates the development of collective data stewardship policies and research support across Dutch research institutions. Together with BBMRI and CTMM/TraIT, SURF runs the national research support desk supporting professionally run installations of biomedical applications. SURF and NWO have jointly set up the Netherlands eScience Center (NLeSC) which develops and applies domain-overarching software and methods for the national scientific community, including computational workflows, FAIR and linked data, machine learning, and data visualisation. DRE, the Digital Research Environment, was developed at Radboudumc as a secure user-driven collaboration platform, bringing together data and tools for digital biomedical research projects. The DRE platform now supports a great variety of studies and is being piloted by all UMCs and several other research organisations. The MRI/Cognition cluster assembles the five internationally outstanding centres in the Netherlands operating 7T MRI instruments as core of the very strong Dutch cognitive neuroscience and brain-imaging fields. These groups collect and process huge volumes of brain imaging data, with unique interoperability properties, advancing the international field both technically and scientifically. The BBMRI-NL cluster brings together over 200 biobanks, with expertise on managing biomedical samples and all associated data, including ~omics and imaging. It forms the national node in the BBMRI-ERIC ESFRI, where it plays an important role in the common IT infrastructure, with the setup and maintenance of the biobank catalogue, expertise on biobank data interoperability, and ELSI services for access to patient material and privacy-sensitive data.